The Governors and staff at Our Lady of Grace recognise our moral and statutory responsibility to safeguard and promote the welfare of all pupils. All staff believe that our school should provide a caring, positive, safe and stimulating environment which promotes the social, physical and moral development of the individual child. We make every effort to provide a safe and welcoming environment where children are respected and valued and where there is a culture of openness where both children and adults feel able to talk and be listened to. We are alert to the signs of abuse and neglect and follow our procedures to ensure that children receive effective support and protection. At all times, the welfare of the child is paramount. 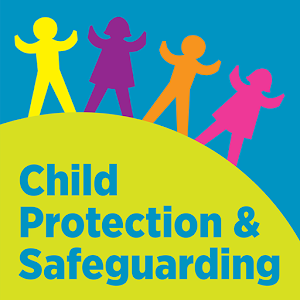 Whilst the school will work openly with parents, as far as possible, the school reserves the right to contact children’s social care or the police, without notifying parents if this is in the child’s best interests. The procedures contained our policy (see below) apply to all staff, governors and volunteers working in the school and are consistent with those of the local safeguarding children board (LSCB). . All staff have an equal responsibility to act on any suspicion or disclosure that may suggest a child is at risk or harm. The policy will be reviewed annually and then agreed by the governing body unless an incident or new legislation or guidance results in the need for an interim review. E-Safety (also known as online safety) is an extremely important part of our safeguarding practices. For information on E-Safety at our school, please use the link below to visit the Computing page within our curriculum section where you will find our policy and lots of information to help keep your children safe online.